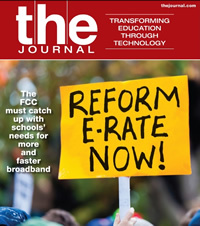 Our Space: Editorial director Therese Mageau asserts that E-Rate reform should include extending discount broadband to families who need it. Innovator: Jane Englert, learning designer and technology integrator at Ephrata High School (PA), talks about choosing the right tech tool for the job. Want more funding for broadband? Here’s your chance to let the FCC know what you need and why. The FCC must catch up with schools’ needs for more and faster broadband. Young children learn best from carefully vetted content. Keeping pace with the minutiae of cloud computing law is a big challenge for any district. It’s also a necessary one.